Practicing my flower painting--envelopes are a great place--rather than toss the practice sheets, they cheer someone's day. Mixed-media piece created in class with Rebecca Wild at our Letters California-Style conference in February. Graphite script, acrylic background, Pan Pastels, colored pencils. I plan to use these techniques, often! 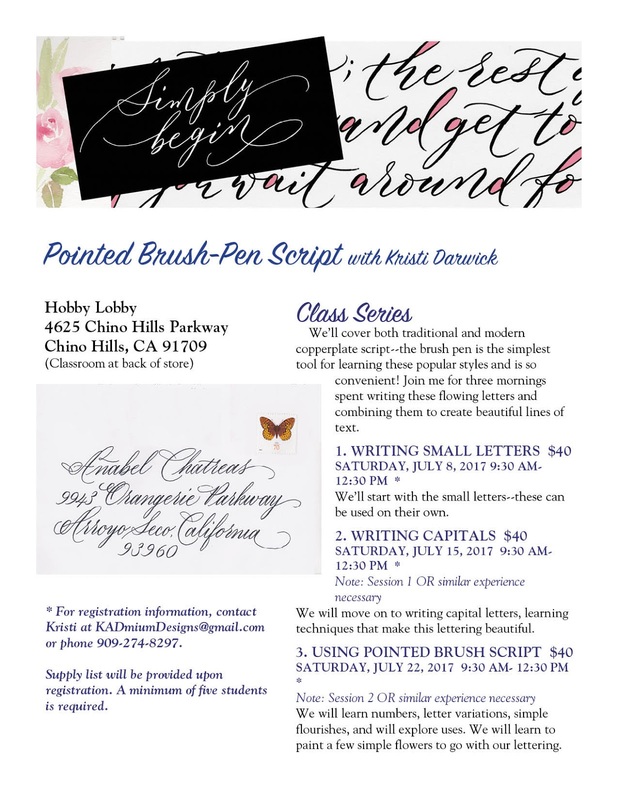 Back by request: Pointed Pen Brush Script series in Chino Hills, CA. This time, we'll cover both the traditional and modern versions. 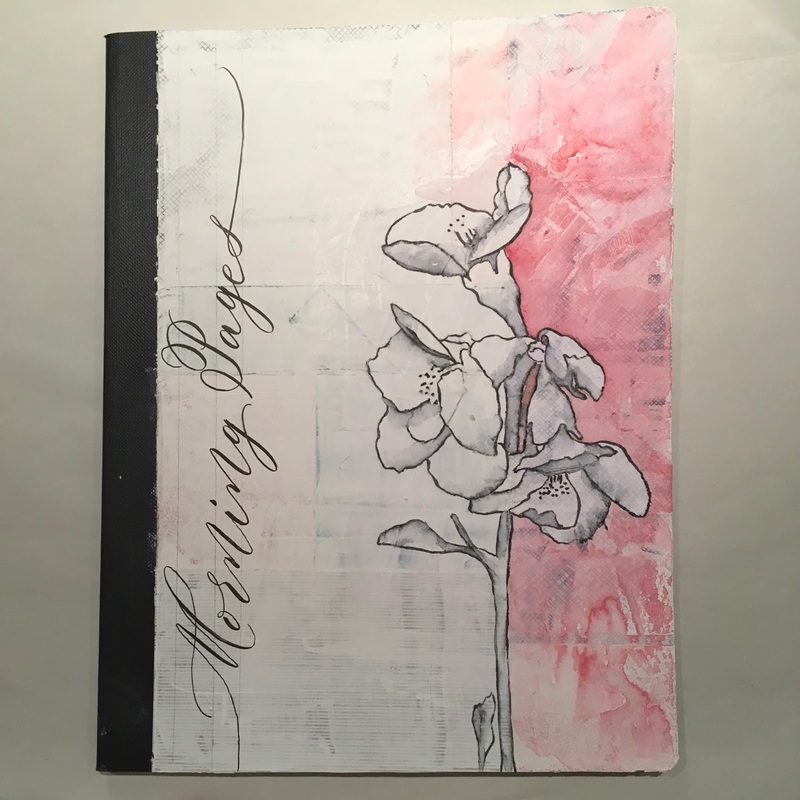 During the third session, we'll learn to incorporate a few watercolor flowers onto envelopes or other work. Sample envelope created for brush-lettering class that I taught in January. 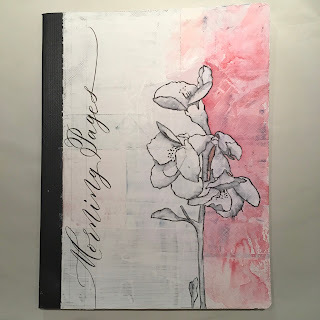 Composition book, covered with collage, gessoed, then drawn and watercolored. Lettering with brush marker.